SharpCutter Grinding Co. About Sharp Cutter Grinding SharpCutter Grinding Co.
Sharp Cutter Grinding Co., LLC was established in 1984 as a Michigan based full service cutter grinding company and manufacture of new cutting tools. From our Fraser facilities we have serviced our south-east Michigan customers with the attitude of the “needs” of the customer comes first. Striving to service our customers to keep them successful with proper resharpening services, advanced new cutting tools and on time delivery. Sharp Cutter Grinding Co., LLC has been committed to maintaining the finest machinery and technology in the industry. With our multiple 4 and 7 axis Anca CNC grinding machines and adding Anca’s newest 7 axis machine with linear rails allows us to stay on top of technology advancements in the industry. Along with our new Tru-Tech CNC OD grinder can manufacture standard round tooling down to .030”. With simulators, certified inspection equipment, and robotic additions to our equipment establishes us as a leader in the cutting tool industry. 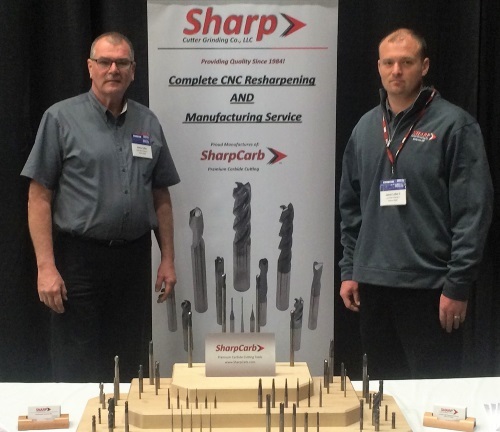 Our team at Sharp Cutter Grinding Company will meet the challenges to supply you, the customer, with the highest level of Quality, Service and Value. Focusing on providing industry leading technology to give our customers a competitive edge so they can stay successful in this ever-changing world of manufacturing.